Sulu D.C.'s Facebook photo is features a still-packaged action figure of "Star Trek"'s Mr. Sulu. But wait -- this isn't a group of '60s sci-fi fans. Sulu D.C. is a network of Asian-American and Pacific Islander-identified artists in D.C., a support system that co-founder Jenny Lares says is otherwise absent from the city’s art scene. "Talking Thai," hosted by Elli Nagai-Rothe and Steve Ma, attracted hundreds to U Street’s Almaz for June's show. Ethiopian cuisine and the sounds of Nick tha 1da were on deck, too. This live compilation of hip-hop, spoken word and cultural exchange was named after the Ira Sukrungruang memoir, "Talk Thai: The Adventures of Buddhist Boy." Author Ira Sukrungruang, poets Yalinidream and Jason Bayani, and comedian Ali Wong all touched stage, delivering their experiences as "hyphenated" Americans. Asian-American Artists at Sulu D.C.
Oakland, Calif. native Jason Bayani was on the East Coast for an Asian-American poetry retreat, and thought he would drop by. "The way I grew up in [this] country... I knew I was different, but I didn't know much about it." Immigrant Filipino families were prevalent in his suburban neighborhood, Bayani said, but his generation did not experience the strong community tie" his parents did. In light of his adolescent experience, Bayani said he uses poetry for community outreach and to "risk happiness" in the midst of the despair often experienced with assimilation. Volunteer coordinator and artist Alex Cena describes Sulu D.C.'s mission as creating "a space for Asian-American performers." 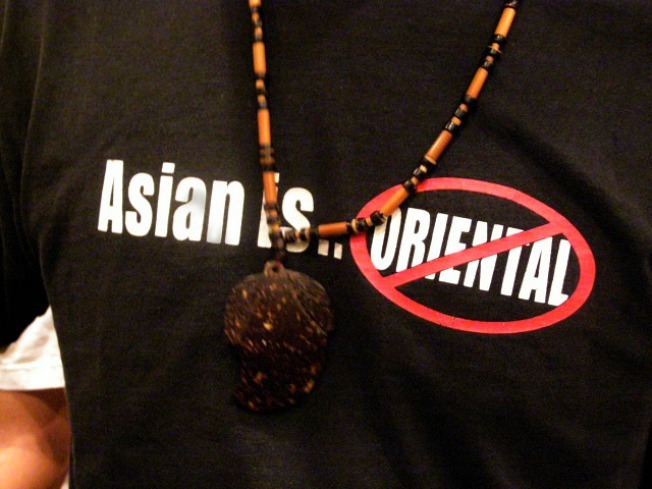 Cena says Asian-Americans struggle against subliminal racism and bicultural identity. "When you talk about struggle, ‘Asian-American’ isn’t the first thing you think of." The underground movement to eliminate false notions of Asian-American wealth and submission began with a '90s group called "I Was Born With Two Tongues," said Cena. The movement continues with Sulu D.C.
Sulu D.C. will dish up special performances this Saturday, July 3 at the Smithsonian Folklife Festival from 6 to 8 p.m., hosted by Def Poetry-featured Regie Cabico.